Manage all of your operations on a single platform. Use an intuitive interface and simple workflows to simplify and streamline day-to-day operations. 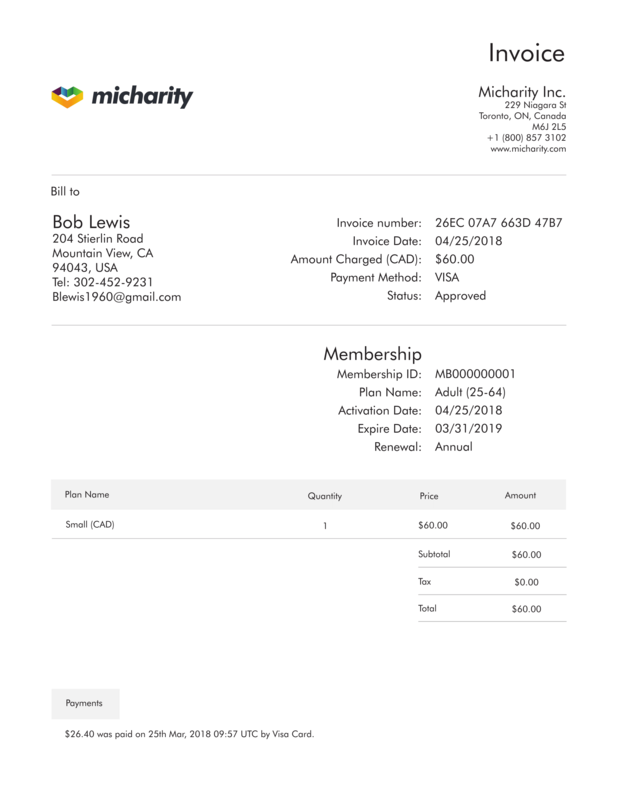 Micharity allows you to create unlimited signup forms that can be posted to pages on your website. 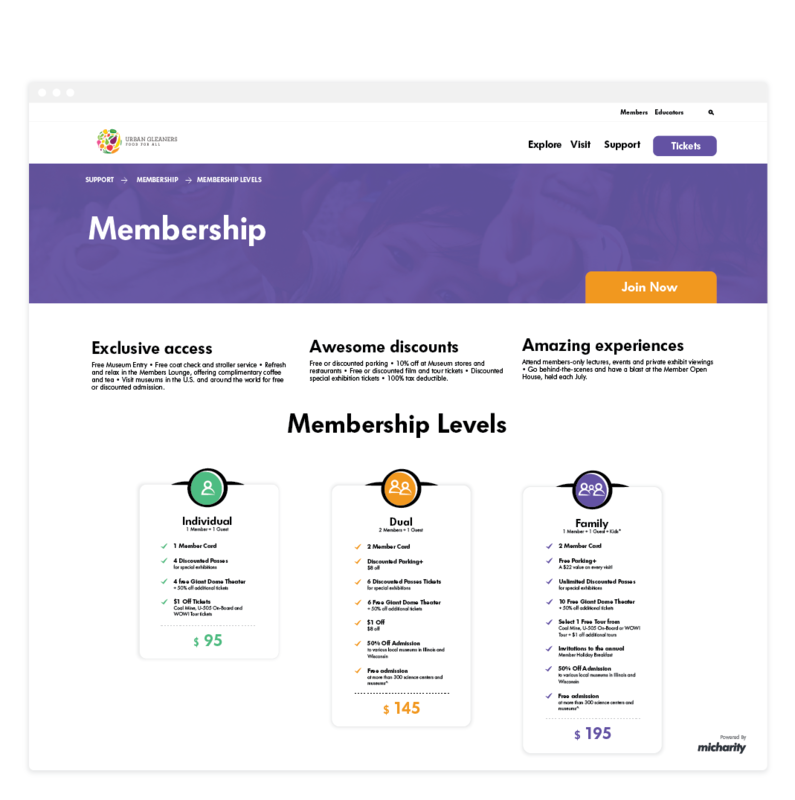 This means you can tailor a form to create a great signup process for your “platinum” level members; gathering different information, different membership pricing, and different welcome emails from students or other types of members that join your organization. 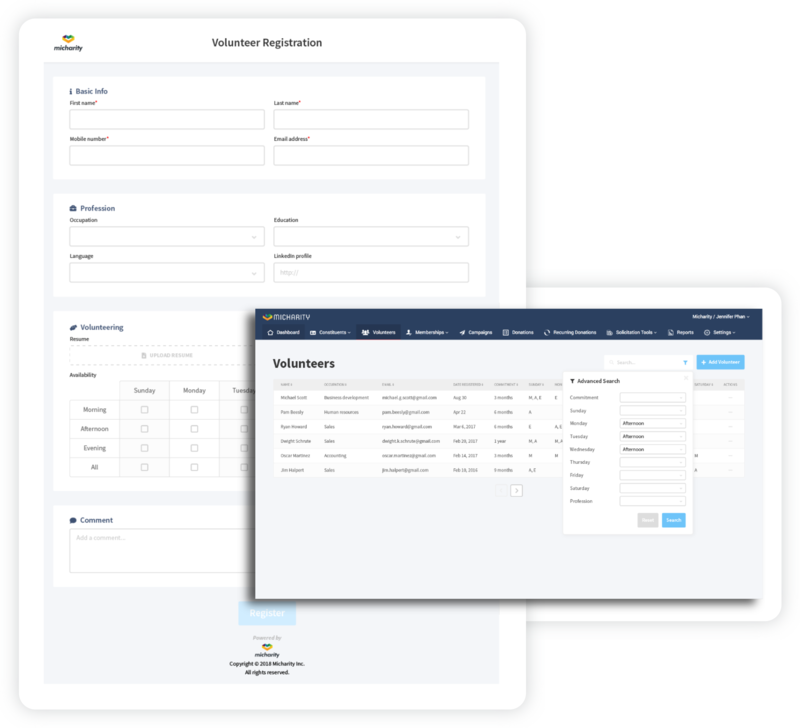 Automatically create an account for every client who fills out a registration form, freeing up countless hours normally spent by your staff entering data manually. 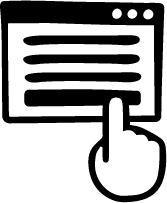 This way, you'll have the most up-to-date details concerning your participants. Having the right information on hand at all times is crucial for staff members and program instructors to track information such as allergies, medical conditions, emergency contacts and physician coordinates. With Micharity, all this is accomplished effortlessly. 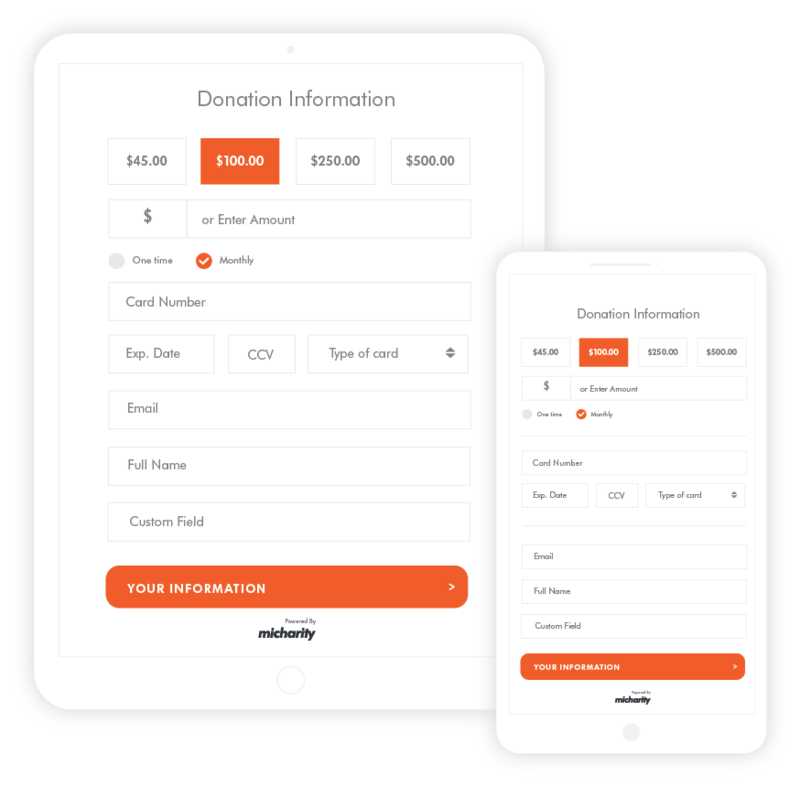 Donation forms are automatically optimized for mobile devices with no extra work needed from you. 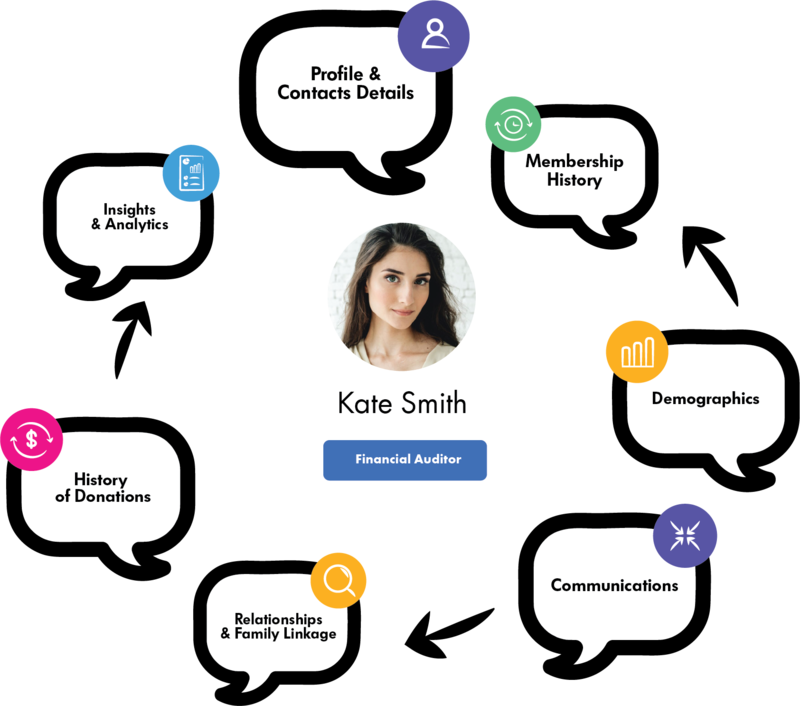 The layout is what your donor expects from a trusted, user-friendly, and modern donation process. A membership plan purchase triggers an automatic welcome email and receipt. We handle the receipting, so you can focus on building a relationship with the member. Track the complete membership lifecycle from non-member to retired member. 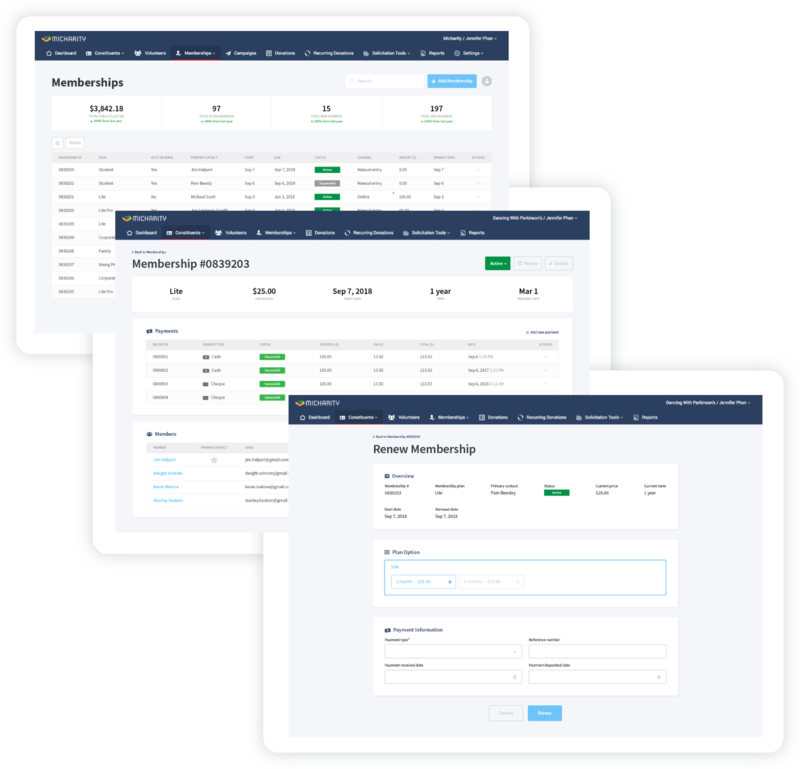 Quickly gain visibility of member growth and retention rates, member engagement scores and event registrations. Easily configure dashboards based on financial year or member types. View key membership data trends with custom query reporting. Schedule reports for automatic distribution via email on a daily, weekly or monthly basis. "Micharity membership registration is amazing! We now enjoy a single robust membership database versus the previous expensive and unreliable patchwork. Finally, we have accurate membership profiles, options to conveniently select auto-renewal, instant invoicing, event, volunteer registration, and accept donations. 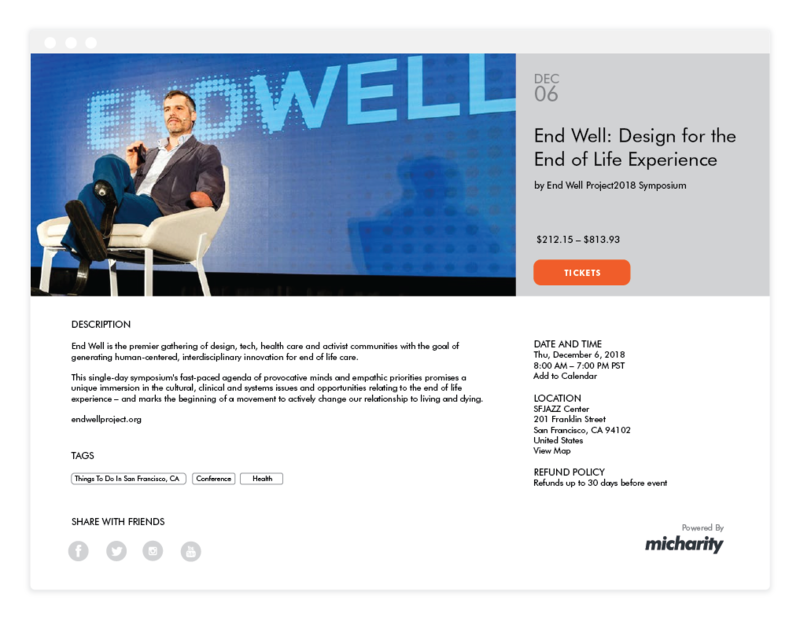 Simply put, Micharity saves time and effort and is a great all-in-one too."